WETRON Poland (WETRON Automatyka Przemysłowa Sp. z o.o.) was founded in 2007 to fulfill the group’s goal of establishing a local presence to benefit from the clients’ knowledge and to offer proximity and speed in the execution of our projects. This office employs a team of people who work in the areas of engineering, programming/scheduling, installation and coordination. The company has gained prestige and increased the portfolio of projects for clients in Poland as well as in other geographic areas. 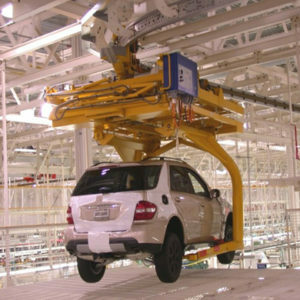 WETRON has carried out projects in the largest automobile plants and in other industries as well across the country. Most of the projects requested by our clients are turnkey projects. 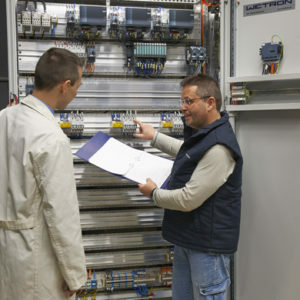 In this case, WETRON automation technology handles the hardware and software planning. 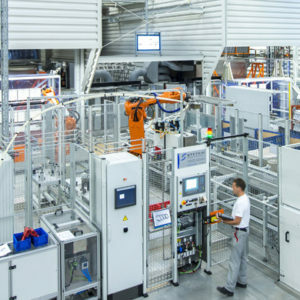 After this phase, we coordinate, oversee and develop the software applications required: PLC, Scada, PC and robot. 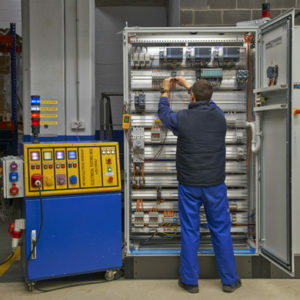 In our workshop we build the electrical enclosures, boxes and panels needed for the installation. 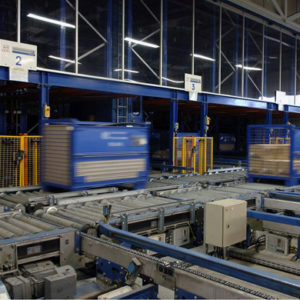 We adapt to our client’s production timelines and assemble the product onsite and then start-up the installation. 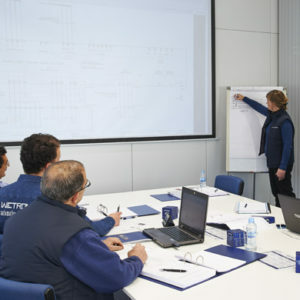 We then train and provide product support to the client’s staff, delivering the documentation in the formats requested. If the client wants, we can also maintain the installation. 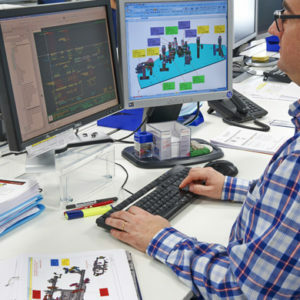 At WETRON automation technology, we study, plan and size the hardware and software for the projects we undertake. 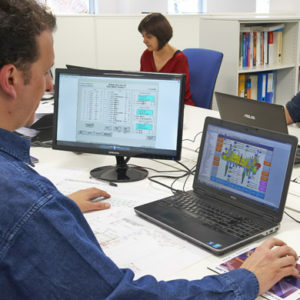 Our services include electrical design using standard programs in the industry: E-Plan and AutoCAD. We can also write the documentation in multiple languages if required. Finally, we carefully plan the execution of the project. 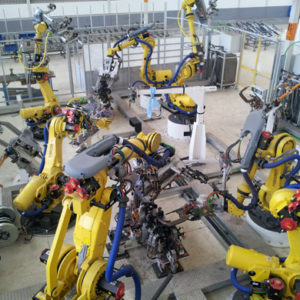 • Programming of industrial robots: (ABB, KUKA, FANUC, etc.). The start-up of the installation is the last phase of a turnkey project. Our team of highly experienced professionals ensures a fast and trouble-free start up. • Signal testing and configuration of PLC hardware. • Off-line loading and configuration of the PLC software. • Manual functional testing, and then automatic testing. • Final operational testing during production. 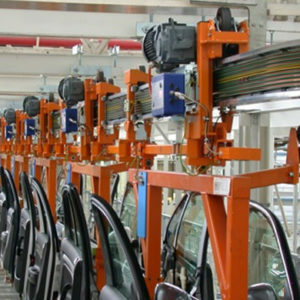 Once the installation is verified to be working correctly and continuously, and the project specifications are satisfied, the client accepts the installation. 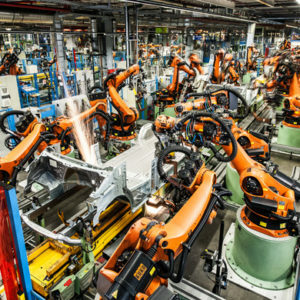 At WETRON, we vow to provide full support for all of the technology we implement. In keeping with this pledge, we offer training for operators and maintenance personnel at the client’s facilities. We do not believe our relationship ends with our clients after the start up and delivery of the installation. As part of a lasting relationship, if our client requests it, we will monitor and carry out the preventive maintenance during the service life, providing advice and suggesting updates and improvements. The PLC programmer is responsible for all the programming and start-up associated with a project: PLCs, HMI displays and industrial network configuration so that the installation provides all of the features required by the project. 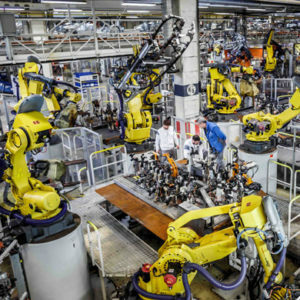 • Knowledge of industrial networks (Profisafe, Profinet, Ethernet), Scada control systems (WinCC, FactoryTalk), drives (SEW, Rockwell, ABB). 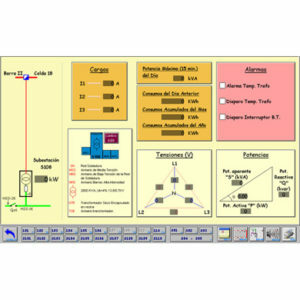 • Knowledge of electronics: reading electrical diagrams and troubleshooting. • A knowledge of programming standards in the automotive industry is a plus (VW Group, Nissan). • Experience in high-stress environments, meeting goals and deadlines. The Project Manager (PM) bears overall responsibility for the design, planning, execution and start-up of the projects that WETRON undertakes. The PM prepares offers based on technical documentation supplied by the client, leads the project team (programmers, planners, site managers) and resolves problems with clients.